I believe that everyone in the world has strange little quirks that may be weird to others yet make perfect sense to ourselves. For example, my husband gets upset when you push down the buttons on his fast food cup. (It makes the pop taste funny, which is a throwback to when he was a child and they used to pretend that the button pushed was what you were drinking, essentially in his imagination his Sprite became a Coke.) My sister brushes her teeth in the kitchen. My mother refuses to set her purse on the floor. And my daughter gets upset when her blanket touches the ground. Anyway, it made me start thinking of my own quirks, and I thought it would make an interesting list. Hopefully you agree. I have a bad habit of purchasing books in general, but I have an extra bad habit of buying multiple copies of favorites I already own. I passed this quirk onto my daughter, and between the both of us we currently own (not including ebooks) 2 copies of Jellicoe Road, 2 copies of Froi of the Exiles, 2 copies of Where the Red Fern Grows, 2 copies of Charlotte’s Web, 3 copies of School for Good and Evil, 5 copies of Outlander and 2 copies of Mrs Gabaldon’s subsequent books. How does this happen? Well, Outlander… I had to have the mass market paperback for easy reading/loaning. I had to have a signed hardcover. I had to by the 20th Anniversary Edition. I already had the hardback from my Teenage years. And finally, whenever I stumble across a favorite at a rummage sale or library sale I’m compelled to buy it, as I did for my 5th copy of Outlander and the additional copies of the other books. We all love to recommend things to each other. I love getting recs and I love giving recs. Unfortunately I have a barrier in my brain that makes me automatically write off a book that is compared to something I love. For instance, friends have been trying to get me to read The Bronze Horseman for years. I joined Goodreads in 2010 and I’d say it was shortly after that people started telling me that, if I loved Outlander, I should really read TBH. Already I’ve got a stick up my bum about it. Nothing… NOTHING compares to Outlander. By saying it’s as good, or better in some cases, means that even if I kind of want to read it I won’t let myself. It’s a barrier. I can’t get past it. Call it blind loyalty, or stubbornness, both are probably accurate. It’s just the way my mind and heart work. What are my rules? First, do not crack the spine of my book. Just, no. I have 6 book shelves, and I keep them spotless. They don’t look as good when the spine of the books are a disaster. Don’t dog ear my pages. Don’t drop them, or sit on them, or stick them in a purse for them to get scratched up. Nothing crazy, right? I can’t be alone in this. I’m the only blogger/reviewer here at Birdie Bookworm so I keep a very strict schedule. I plan out my posts and I write them about 2 weeks ahead. I schedule every review, and I stick to that schedule like glue. It helps me not get behind, and then stressed out. 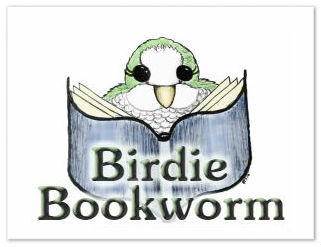 I have enough stress in my life, Birdie Bookworm is supposed to be a stress reliever. With that said, I also love ARC’s. As soon as I see a beloved book hit NetGalley I’m all over it. Maybe that book isn’t even out for 4 months, but if I can get it immediately then I want it. (When I can’t because I’m denied, that’s okay too. I’m not that silly.) So, here’s the quirk. When I get that book, 4 months in advance, I jump up and down. I squee and tell my reading besties that I got it so they can squee with me. Then, I go to my blog calendar and schedule the review for a week or so before release date and I don’t touch the book until the week or two before that scheduled date. So, to clarify. I salivate and want it immediately, only to schedule it and not touch it until it’s nearing pub date anyway. I NEVER read them months in advance. I know I’ve mentioned before that I’m a happy rater. I tend to feel positive about a book unless it completely jumps the shark into a place I can’t follow. Most of my reads are 3-4 stars, simply because I enjoy almost everything. Sometimes when I really love a book but I know in my gut that the sequel is going to be even better, I will rate that first book lower. It’s not to be cruel. It’s not to withhold my love. It’s because I can only rate up to a 5. If I give the first book 5 stars, but I know in my heart the sequel is going to be even more fabulous…. what the heck am I going to rate that book! I have to save some stars. This is exactly how I rated Captive Prince. One of my all time favorite series. I gave the first book 4 stars (even though it could have been 5) because I knew that the followups were going to be spectacular. I was right. My insanity was validated. 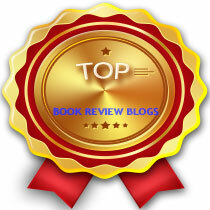 My reading/blogging friend Angie says that it’s because I like to leave room for improvement. I think that’s the perfect way to word it. Now you know that this blog post isn’t going to end without me asking for your quirks. Don’t leave me hanging out here by myself. I know you all have them too. Please share! I totally agree about the broken spines. I HATE the look of books with broken spines! My step-sister said she loves opening a new book and feeling the crack of the spine as she breaks it – sounds horrifying to me! Ugh, no no no. It’s book torture! LOL!! I’m not sure it’s patience as much as stubbornness. But I’ll try to send some your way. Great post! I laughed, it was funny :D. My book quirk would have to be how I notice the smallest bends on a book’s cover after I get it back once I’ve loaned it out. My sister has been reading the Wheel of Time series from my bookshelf and every time she finishes a book and gives it back, I see where she’s messed up the front and back! She’s been better about it recently, but still…don’t even touch the book. HA!! Yes! That’s exactly how I am. And I passed it on to my daughter. She borrowed a book and got it back all bent to hell. She made sure to tell her friend that she wasn’t allowed to borrow books anymore, haha. I don’t think these are weird quirks at all! Breaking the spine of a book is a definite no-no for measure is dog-earing the pages. With Recommendations..I’m pretty opposite, if people say “omg you should read this book because it’s like such and such book” and I hated such and such book, it’s off my list lol. I swear, it’s the only thing on the planet that you can lend someone and then YOU’re the butthead when you’re upset it’s destroyed! Nobody is going to borrow a purse, cut it up, then return it like “Hey, it’s just a purse”! I hate when people don’t take good care of my books when I loan them out. OMG, it’s someone else’s property, why do you think you can destroy it? I’m also the same way about ARCs. I don’t get that many of them, but I do put them aside until I feel it’s “time” to read them and get a review up, about a week before the publication date, if I can. I just don’t like reviewing things that far in advance. When my post goes live I want to remember what I read! I loved reading your book quirks, especially the one you share with your daughter, it’s so hard not to buy a favorite you see around, especially if it is relatively cheap. Thanks! I think that’s the kicker, you find them at a yard sale for a quarter. How do you not buy it? My daughter also shares the fanaticism about loaning books too. She gets really upset when she loans a book and it comes back in bad shape. It is a tragedy, our books do need to be cared for as best as they can be. I am with you all the way about loaning a book out. My mum has two of my books right now and she’s a spin bender and I haven’t checked to see what condition my books are in yet; I just hope she didn’t make a mess of them. You should see my copy of Twilight, that book went around like a library book it is so battered and bruised. I don’t even know how many people read my copy of it when the movie came out! I refuse to lend my mom’s books, because she never gives them back. Ever. I don’t lend her movies either. Woah you are so organized… teach me your ways! I try to get everything ready the weekend before so at least during the week I can relax, but man it gets hard especially if I have a busy weekend (like last weekend) and everything got really tight and I almost didn’t post on time. I need to time management better! I have no idea how I started that, actually. I’m not really organized in any other area of my life, haha. I think it was just because I only like to post once in a day, and I don’t like to duplicate my topics too close together, if I can help it. So I started throwing them on the calendar so I could move them around. I like posting once in a day too, any more than that and I think it gets too hectic! Well you’re doing something right because your blog organizational skills are better than mine. I can only try haha! This is such a fun post! I totally have the same standards when it comes to lending out books! Heh.. I have a habit of buying duplicates too or finding duplicates on our “free” cart at the Downtown library and taking them home. “The Secret Garden” is my number one favorite book EVER, so I have about 7 or 8 copies of that. The current copy I’m reading at the time (which is the 2nd or 3rd copy because I read the others til they were falling apart), the critical edition, the annotated edition, and several really nice illustrated copies. Hardcover books and library books are treated with the utmost respect – no dog ear pages, no cracking spines, none of that and if they’re mine, I rarely lend them. Mass Market paperbacks are cheap enough that while I’m certainly not rich, I have no qualms about replacing them if needed. Those are the copies that I might highlight a passage in, perhaps dog ear pages that have special meaning, etc. I’m not in a hurry to crack the spine, but if it happens, it happens. I lend them out and don’t really care if they come back scratched up or even not at all. I also will not buy a book unless it’s a favorite author or I know I’m going to read it more than once (a reference book or something on water gardening, etc.). If I’m only going to read it once, I work for the largest library in the county and I’m in charge of requesting interlibrary loans for our patrons so I’ll get it one way or another from there. 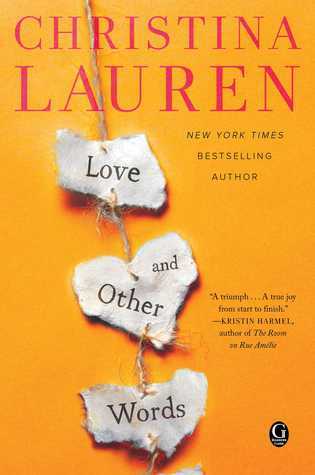 As far as rating books, if you want 5 stars, I either need to feel a powerful emotional connection to the book or the writing has to be absolutely freaking awesome (if it’s a mystery book, it really helps if I cannot figure out before the end). Most of the time I give 4 stars to books I really enjoy but they don’t get an emotional connection in me. Of course I have authors that I’m biased about, but even there I will give a 4 instead of a 5 if it just didn’t “hook” me as much as the others in the series. When I was younger I didn’t mind cracking spines on mass market paperbacks, or dog earing pages. In fact, I never used a bookmark. I folded down the corner of the page I was on. Even now, I can flip through my oldest books and see all the spots I folded down the pages, lol. I think if I still bought Mass Market Paperback’s I probably would care less, but most books I spend money on now are hardcover or trade paperbacks, and even Trade’s are like 10-17 dollers each. That adds up to a lot, haha. Now, with that said, if I loan a book out and the spine is cracked, or a page turned down, or a bend in the cover, I’m not gonna be upset about it. I don’t ask people to replace books. (The only time was when a friend dropped my book in the bathtub.) I don’t think I’m actually that crazy about it. Book comparisons as part of PR frustrate the heck out of me. #1, you’ve immediately alienated readers if they don’t like that book, and #2, if you’ve compared that book to something beloved (like your Outlander,) then you’ve set the bar high. Unrealistically high. Your immediate having of the ARCs cracks me up. I’ll never let that go. And that’s it exactly. They’ve set the bar high, and already put me on edge because my favorites are on a pedestal. There is nothing as good, lol. Great post and I can totally relate to all of these bookish quirks, especially the one about buying multiple copies of favorite books. I mean, seriously, do I really need 3 copies of Jane Eyre? Probably not, but if I saw a 4th one that caught my eye, I’d probably buy that one too. haha! That happens to be my Grandma’s favorite book too and she’s has multiple copies. So maybe I get it from her.